We are hosting our final party of the year this Saturday, 10/28, at 1pm till sundown. We'll have pumpkin carving, pumpkin painting, mulled cider, and fall treats! BBQ & Potluck for all! Citimusic Curations proudly presents the second installment of our summer music series at Red Shed Garden! Come join us for an evening of jazz starting this Sunday, August 13th at 2-5PM. Reminder: Summer Party This Saturday! Spring Has Sprung @ Red Shed! 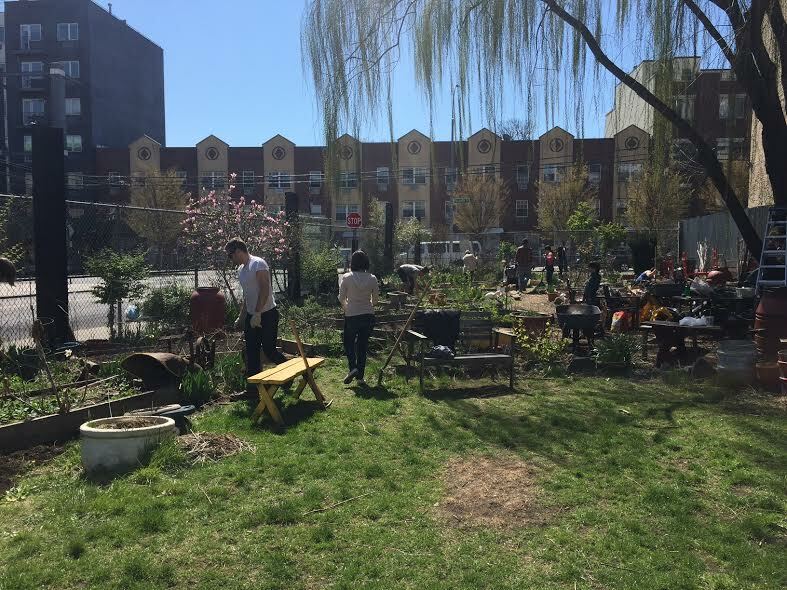 Our April Workday was a great success. Lots of members came out in the April sunshine to help repair our community and individual beds. 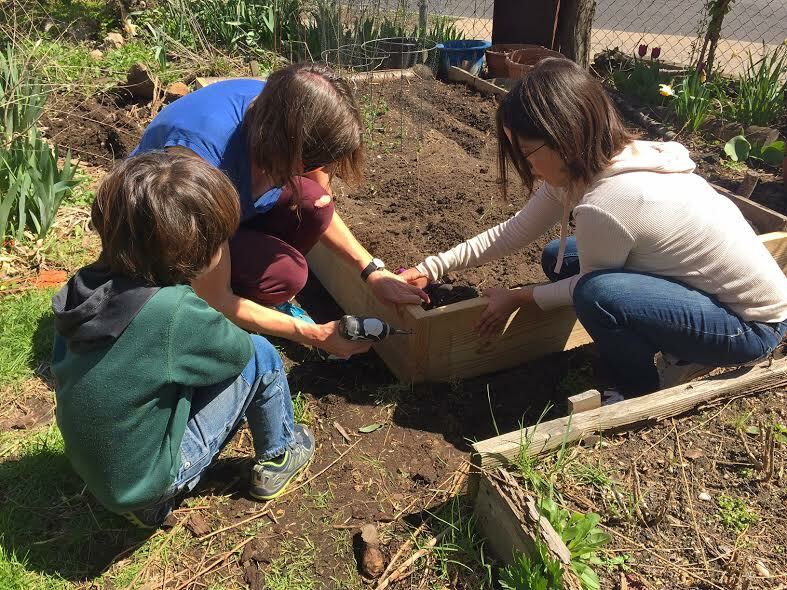 New seedlings from GrowNYC will be arriving soon! We're so pleased to welcome you to the new RedShedGarden.com, and we can't wait to see you in the garden over the coming months! Check back here for updates, or sign up for our newsletter. And be sure to follow us on Instagram!